High Magnetic Field Facility (SHMFF) users have achieved extraordinary superconductivity in the investigation of NbTi nanowires under extreme conditions of combining high magnetic field, high pressure and low temperature. The NbTi alloy superconductor is in wide use to nuclear magnetic resonance in hospital and high-magnetic superconducting magnets. However, the superconducting properties of such material under high pressure and high magnetic field are still uncovered. According to a recent paper released in Advanced Materials, SUN Liling and her colleagues with Institute of Physics, Chinese Academy of Sciences conducted a research on SHMFF to investigate the superconducting properties of NbTi nanowire under the extreme conditions provided by the user facility. They found that the superconductivity still survived under 261.7 GPa, which was the record-high pressure where a superconductivity exists. 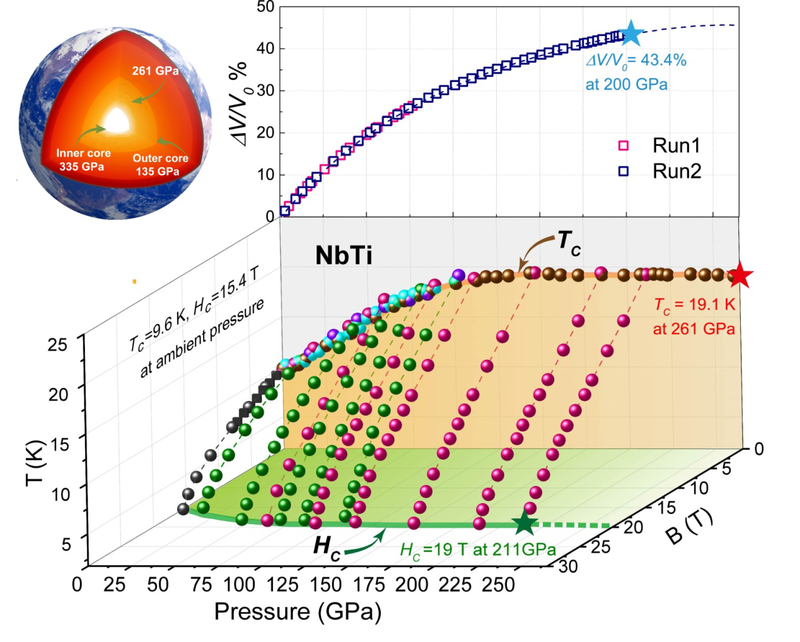 Surprisingly, both the superconducting transition temperature and the upper critical field exhibited an extraordinary increase under the high pressure, compared to those under the ambient pressure. 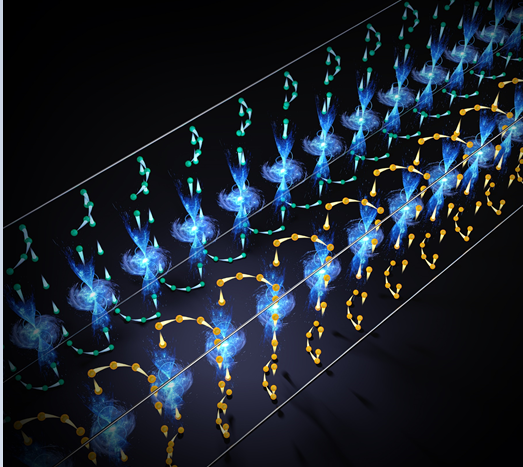 The research may reveal the predominant feature that the alloy superconductor is robust against any structure distortions, which is extremely important in future applications in high magnetic field superconducting magnets. 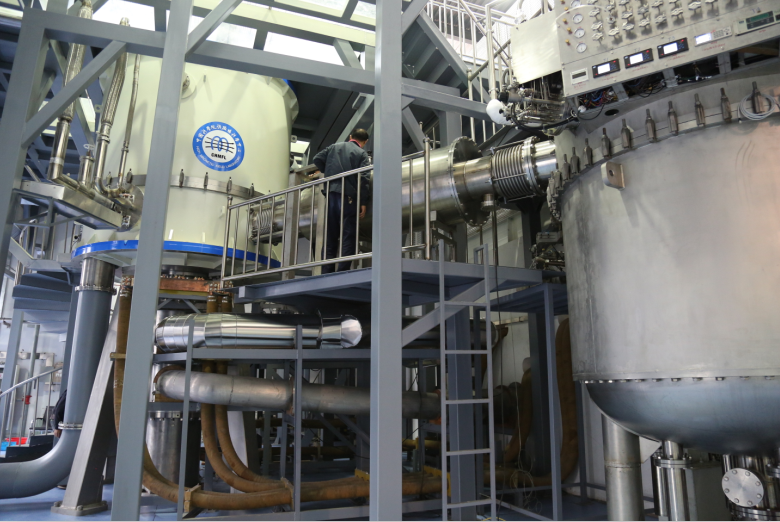 The combination of extreme conditions in the current study has been conducted on the Water-cooled magnet (WM5) of SHMFF at the High Magnetic Field Laboratory of Chinese Academy of Sciences (CHMFL). In addition to WM5, CHMFL also has a hybrid magnet at 40-telsa level, four more water-cooled magnets, four superconductive magnets, world-leading synergetic extreme experimental conditions and six measurement systems open to users worldwide. The work has been supported by the National Key Research and Development Program of China, the National Science Foundation of China, the Strategic Priority Research Program (B) of the Chinese Academy of Sciences, and the found of Songshan Lake Materials Laboratory. 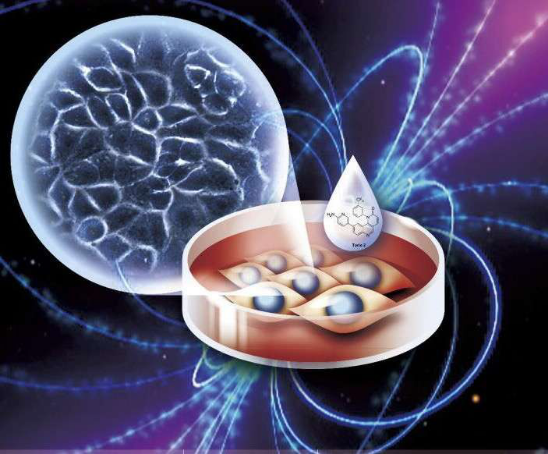 Researchers in the High Magnetic Field Laboratory of the Chinese Academy of Sciences (CHMFL) found that Epidermal Growth Factor Receptor (EGFR), a protein that is over expressed and highly activated in multiple cancers, can be directly inhibited by static magnetic field.